Lignification is a key event in plant defense against pathogens. In the plant lignin biosynthetic pathway, cinnamate 4-hydroxylase (C4H) catalyzes the conversion of trans-cinnamic acid to p-coumaric acid. However, the potential role of C4H in plant defense remains elusive. In this research, a soybean C4H gene, GmC4H1, was identified via microarray-based comparative transcriptome analysis of genes responsive to Phytophthora sojae infection. The accumulation of GmC4H1 transcripts increased significantly upon P. sojae infection. 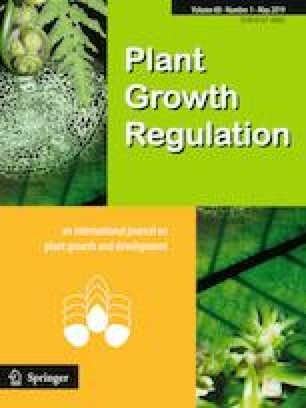 Nicotiana benthamiana plants overexpressing GmC4H1 demonstrated enhanced lignin accumulation and elevated resistance to both Phytophthora parasitica and Verticillium dahliae. The silencing of GmC4H1 in soybean hairy roots resulted in decreased resistance to P. sojae. These results together suggest that GmC4H1 contributes positively to plant defense against various pathogens, possibly by enhancing lignin biosynthesis. The online version of this article ( https://doi.org/10.1007/s10725-019-00494-2) contains supplementary material, which is available to authorized users. This work was supported by grants from the National Natural Science Foundation of China (31625023, 31721004 and 31672008) and Special Fund for Agro-scientific Research in the Public Interest (201503112). Supplementary material 1 (TIFF 736 kb) Fig. S1 Alignment of C4H1 amino acid sequences from five plant species. Amino acid sequences used in the alignment are from Arabidopsis thaliana (NP_180607.1), Gossypium hirsutum (ACH56520), Medicago truncatula (XP_003616037.1), Nicotiana tabacum (NP_001312254.1) and Oryza sativa (EAZ35606.1). Identical amino acids are marked in black. Conserved amino acids are showed in gray. Sequences were aligned using CLUSTALW and viewed in GeneDoc. Supplementary material 2 (TIFF 278 kb) Fig. S2 Molecular verification of transgenicN. benthamianalines. Genomic DNA (a) and cDNA (b) PCR amplification of GmC4H1 (upper panel) from wild-type (WT), empty vector (EV) transformant and threeT2 transgenic lines expressing GmC4H1 (12-3, 14-4 and 18–4). NbEF1a (lower panel) was used as an internal control. c Seed germination rates of transgenic N. benthamiana plants.